Groundwater Sciences Corporation (GSC) was retained by the Elizabethtown Area Water Authority to assist with the rehabilitation of a public water supply well where an increase in turbidity caused the well to be taken offline. The well was located in an area underlain by karstic limestone containing water-bearing solution openings. 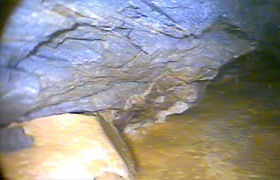 First, the well was televiewed to inspect the condition of the well bore, which was found to require thorough rehabilitation. Then, using several techniques, the well was rehabilitated over its entire depth, with special attention to the major water-bearing zones in the well. Aggressive rehabilitation resulted not only in reducing the turbidity level to below 1 NTU, but also in increasing the total blown yield from 400 gpm to more than 1,000 gpm. 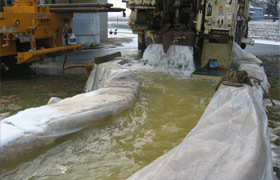 Subsequent pumping tests showed a dramatic increase in the capacity of the well such that the well is being considered for re-permitting at a higher flow rate. Post-rehabilitation video inspection revealed major improvement to the condition of the well bore and the primary water-bearing zones.